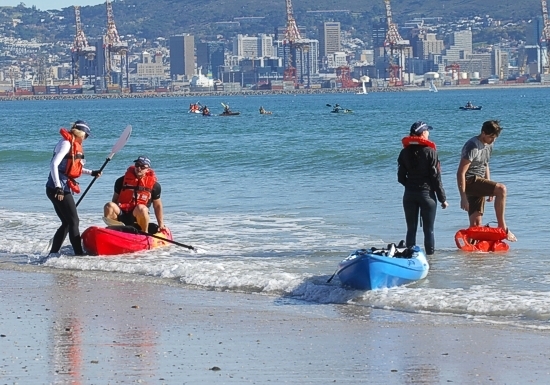 On a crisp Saturday morning early in June, 100 kayakers set out to paddle across the Cape Peninsula, from False Bay to Table Bay. Their primary mission: To raise public awareness of the city’s waterways and canals, and to show the public’s connection to them. 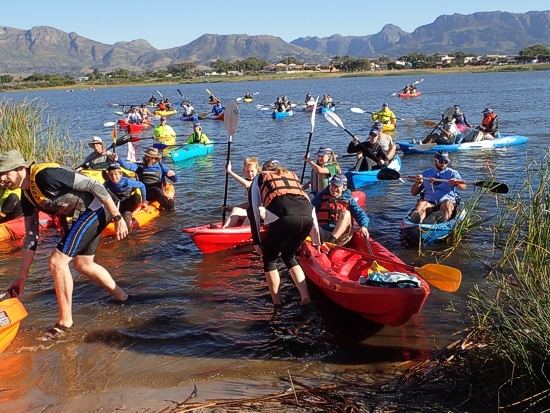 The route for the Peninsula Paddle team – kayakers and stand-up paddle boarders doing the trip for the seventh year – began at Zandvlei near Muizenberg. 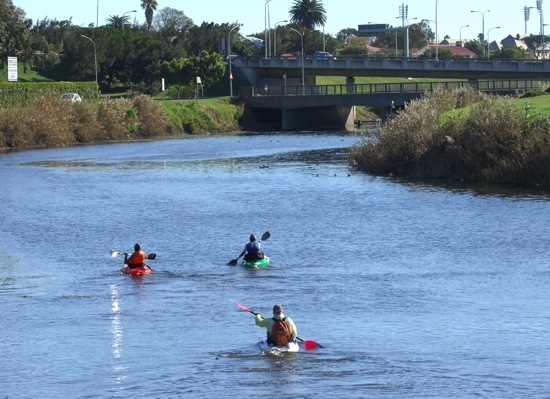 By the end of the paddle in Milnerton, they would cross 15 kilometres of waterway. It should have been longer, but there wasn’t enough water in certain areas to keep paddling all the way. 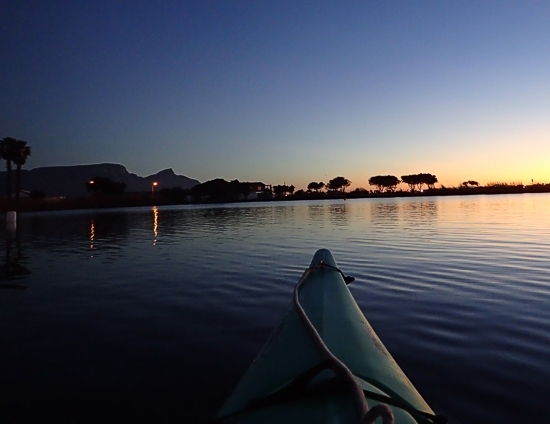 Zandvlei at the break of dawn and the start of the paddle. All photographs by Gavin Lawson. 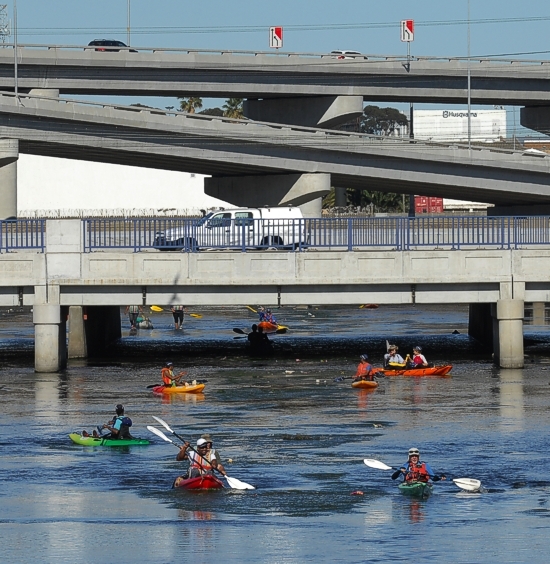 The annual paddle is scheduled to coincide with World Environment Day. 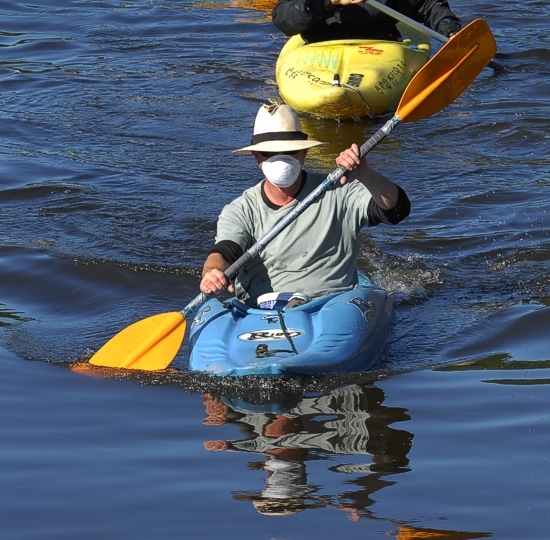 As the paddlers headed into Retreat and the Steenberg Canal, the pollution began, and only got worse. 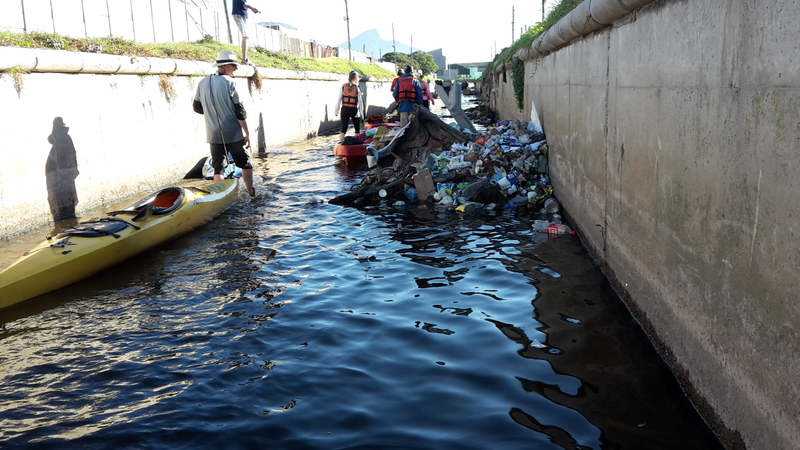 The canals on the Peninsula Paddle route were apparently cleaned from mid-March until the end of May in preparation for the rainy season. However, said Herron, “(L)itter is dumped into the canals in the far south on a daily basis. 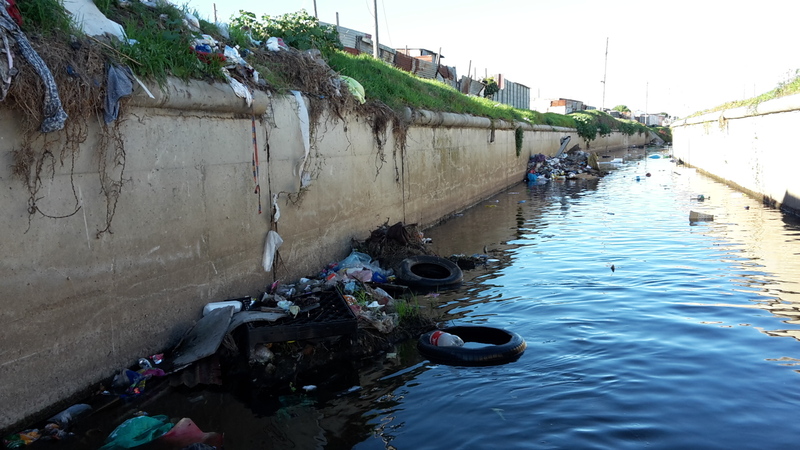 The Steenberg canal in particular is problematic as far as illegal dumping and littering are concerned with the sections south of Retreat Road and north of Concert Boulevard being the worst affected. “Transport for Cape Town cannot keep up with the amount and pace of dumping and littering taking place in the far south, as well as elsewhere in the city. We try as best as we can to keep the waterways clean, given our limited financial and human resources. Winter said, however, that they had been “significant improvement in the water quality of the Black River since the first paddle in 2010.” That was the next part of the route. 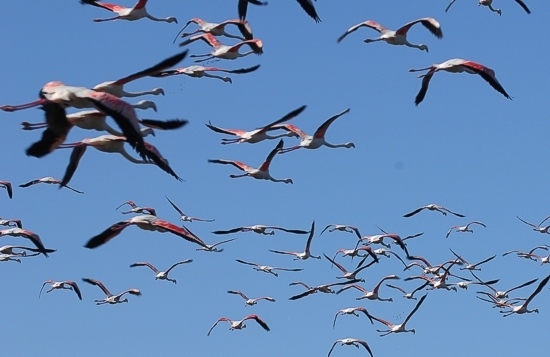 Flamingoes seen overhead along the Black River. He carried on: “Ongoing work of the Kader Asmal Project, started in 2012, has also made a difference involving the extraction of tons of discarded material from the river. However, the volume is clearly way beyond the control of this project team and in the long term the operation is unsustainable. 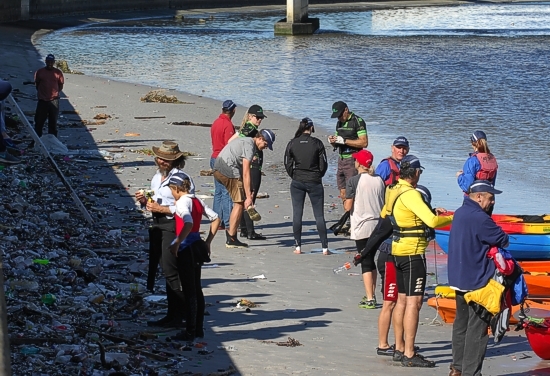 Kayakers confront the garbage at the Salt River mouth. The kayakers finally made their way out to Table Bay and on to Milnerton. Exiting the waterways into Table Bay. Winter pointed out several projects that have done great work to keep the waterways clean. These include the Zandvlei Nature Reserve, “whose staff do a great job”. 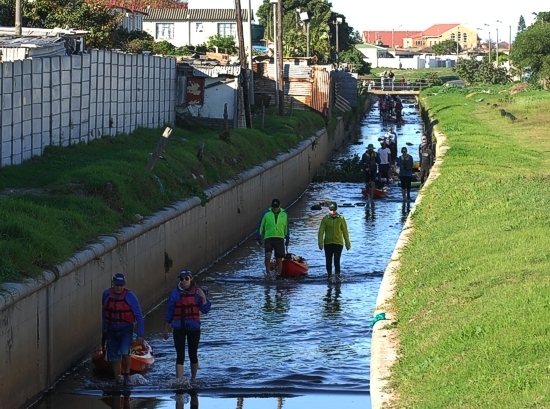 Also the Friends of the Liesbeek have a good programme that is sustained by private investors, principally ABAX investments – and “a team of eight staff members clean, plant and educate others about the Liesbeek river that adjoins the Black River”. There is also the city’s Kadar Asmal Integrated Catchment Management Programme that is working largely on the Black River, but, says Winter, “it is a massive challenge and they are too underresourced to make a difference”. Next articleA South African Abroad – Where Am I?